When I first started blogging was lucky enough to attend their lunch dinner as a plus one of the amazing award winning Debz from Wannabe Princess. 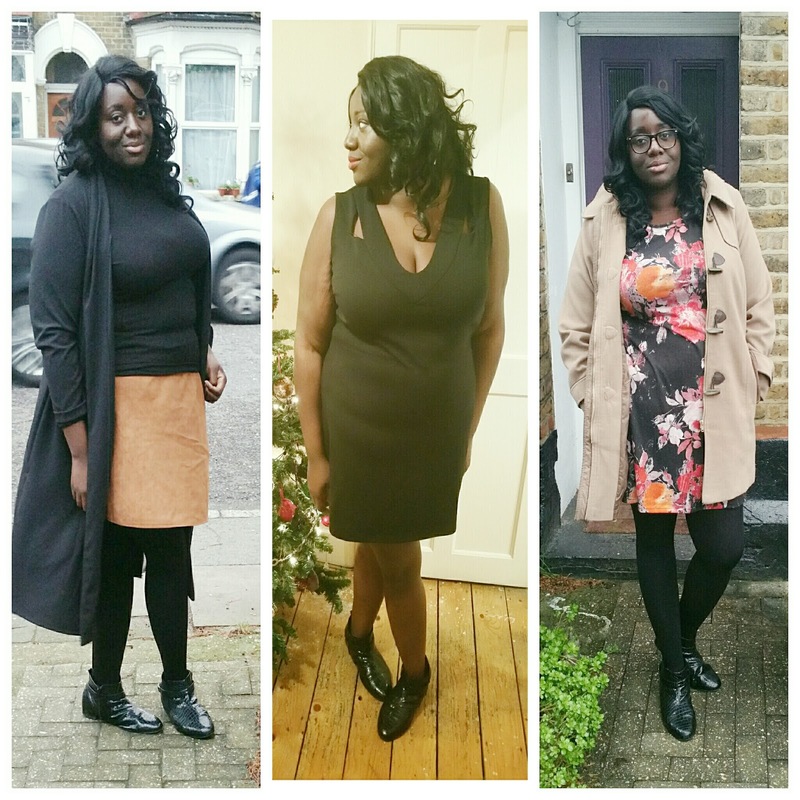 I fell in love with their clothing, do you remember my review of their black and white body con dress I wore whilst pregnant with Darcy? If you haven't heard of Pink Clove they a online plus size store catering from size 16 to 32. I picked their duster coat, as it's not the usual style I go for. Coats are a issue for me due to being tall, the sleeves are normally too short or it just doesn't fit right on me. However this coat fits like a dream, It can also be dressed up or down. 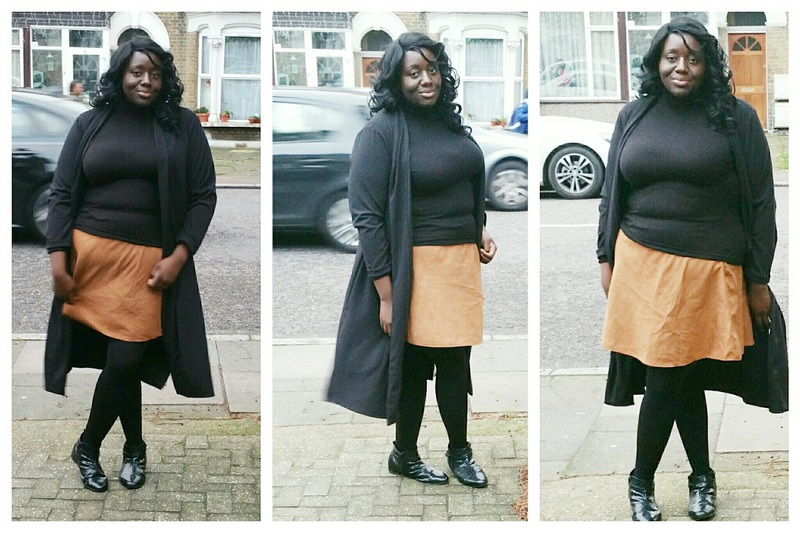 I chose to dress it down with a black polo neck, brown suedette skirt and my favourite ankle boots. Every time I wear this dress I get people coming up asking me where it's from. I love the autumnal colours. It is cut really well that it hugs me in all the right places.. It's lightweight jersey material but it's perfect for laying up. I fell in love with this dress, especially the strap detail. 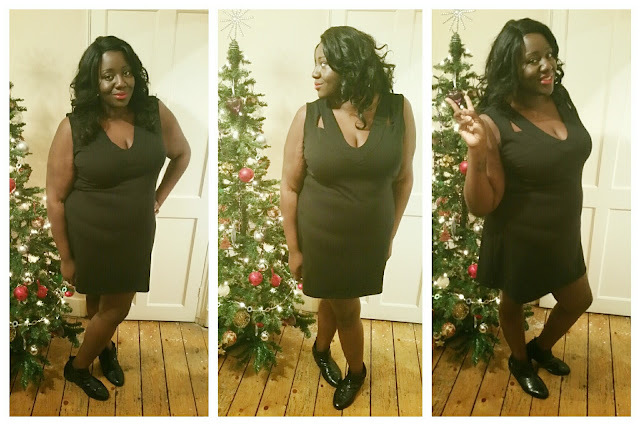 I recently wore it out for a girls night out with those black ankle boots again! It's currently on sale for £9!! so you best snap it up. Have you shopped at Pink Clove before? What are your favourite items? I have not heard of pink clove before but will check them out as I am loving that duster coat. Loving your black dress, you looks nice on you. You look great, I'm in serious need of new clothes and I had never heard of Pink Clove before your post so I much check them out. 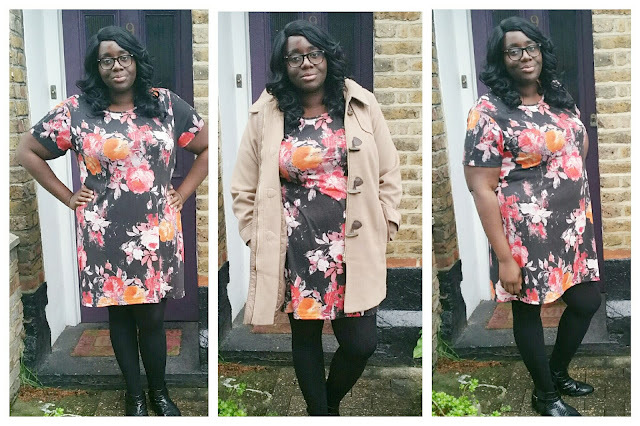 The floral print dress is my favourite. I love that floral print, not surprised you get people asking about it. Pink Clove seems to be a bit of an insider secret! I've actually never heard of that brand before. I wouldn't be big into fashion that much as I buy a dress maybe once a year. I love the autumal dress. It looks fantastic on you and really stands out.